This reappraisal of Dave Brubeck’s work is so good that the jazz legend himself declared it “an inspiration and a challenge for me to carry on in the avenues that you have opened”. 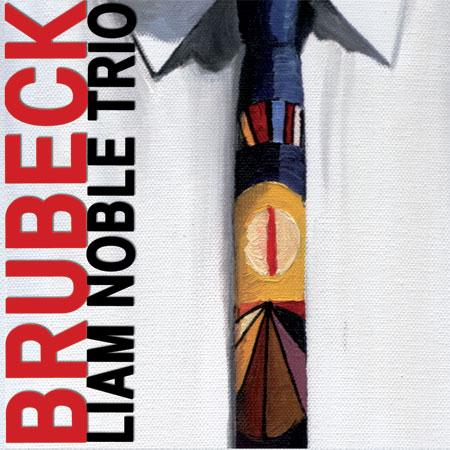 Brubeck was an early inspiration for UK pianist Liam Noble, and here Noble takes a dozen of his classics – including Take Five, It’s a Raggy Waltz, and Blue Rondo à la Turk – and gives them drastic makeovers. However, he is unfailingly respectful of the original melodies, even if he sometimes leaves it until the track is nearly over before bringing them in. Noble is a supreme motivic improviser, in the manner of Thelonious Monk, Ornette Coleman, Sonny Rollins and, latterly, Brad Mehldau – not only in the way he unearths fresh melodies on the fly, but entwines them with earlier ideas in the solo and tell-tale echoes of the theme. He delivers a poignant and eventually audacious In Your Own Sweet Way; and introduces Take Five as a folksy doodle, barely related to the original, then turns it into a churning vamp, ending with the theme. On Blue Rondo, the stabbing chords, cymbal crashes and metallic treble sounds don’t give way to the famous tune until the final moments. Bassist Dave Whitford and drummer Dave Wickins are key partners in what amounts to a tour de force. No wonder the octogenarian Brubeck thinks it might help him start all over again.